Enjoy the ease of no-maintenance gutters with our quality, cost-effective gutter guard system. It’s true that gutter guards are not the most glamorous of home improvements—but they are one of the most important. Many homeowners overlook the protection their gutters afford their home in terms of moisture control, foundation protection, erosion prevention, and much more. So protect the gutters that do so much to protect your home by adding high-quality Atlanta gutter guards from Tight Line Exteriors! Since 2004, our locally owned, BBB-accredited business has worked to earn a reputation as Greater Atlanta’s most trusted home improvement experts. Our outstanding service, superior workmanship, and cost-effective pricing makes us your trusted resource for Atlanta gutter guards and other home updates! Quality Construction: Made from solid aluminum, our gutter guards will not warp or rust. Easy Maintenance: Self-cleaning ridges ensure that dry debris easily blows away. Low Profile: Invisible from the ground, gutter guards will not change the aesthetic of your home’s exterior. Pest Resistance: The system completely encloses your gutter, so birds and squirrels cannot build their nests inside. High Strength: Our guards attach to both the front and the back of the gutter, creating a stronger system that can stand up to even heavy ice. Warranty Coverage: Gutter guards from Tight Line Exteriors come with an impressive 20-year manufacturer’s warranty. 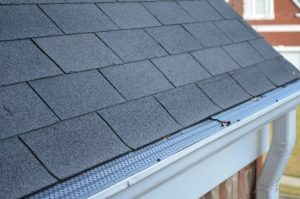 Learn more about the many features and benefits of adding gutter guards to your home in Marietta, Roswell, Alpharetta, and beyond! You can also talk with our team about replacement siding and other exterior home improvements. To get started today, give Tight Line Exteriors a call or fill out our online contact form to request a free, no-obligation estimate.